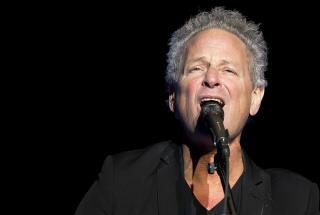 (Newser) – A Facebook post from the wife of Lindsey Buckingham raises the possibility that the former Fleetwood Mac star may not be able to sing again. Wife Kristen writes that her 69-year-old husband needed emergency heart surgery, and the operation damaged his vocal cords. "While it is unclear if the damage is permanent, we are hopeful it is not," she writes. She adds in the note that Buckingham "and his heart" are doing well after the surgery. As Rolling Stone notes, Buckingham and Fleetwood Mac parted ways acrimoniously last year, something that Kristen references. In order to perform the heart surgery anesthesia required intubation. There are major risks involved including damage to vocal cords when the breathing tube is inserted and later removed. I had life-saving surgery performed for prostate cancer. After 3 months my voice is still not normal and I have been referred to an ENT and Speech Therapist. Never take for granted what you have been blessed with. I extend my best wishes for Lindsey and his true fans. If he needed heart ?? surgery, just HOW would that affect someone”s vocal cords??? They’re two separate things!!! Some people might argue that Buckingham's vocal cords were already damaged before his heart surgery.